Ken Stringfellow is certainly no stranger to catchy rock. With his experience with bands like The Posies, R.E.M, and Big Star, he’s contributed to dozens of memorable tracks. Danzig in the Moonlight, his first solo LP in eight years, shows that Stringfellow still knows how to build an album. Danzig flirts with many genres, sometimes even in the same song. “Jesus Was an Only Child” starts out mournful and piano-oriented, but halfway through the electric guitar and distortion kicks in to go from a religious song to a political condemnation. Current events also crop up on “110 or 220 V,” with its jazzy harmonica suiting lines like “I lost all I had at the Battle of New Orleans.” Early rock and soul crop up on “Drop Your Pride,” while “You’re the Gold” channels the blue-eyed soul of Van Morrison. Unlike any other song on the album is “Odorless, Colorless, Tasteless,” in which Stringfellow delivers striking vocals over sparse string accompaniment. It’s a raw performance and proof that he doesn’t have to layer instruments to create something striking. Also compelling is “Doesn’t It Remind You of Something,” his duet with Charity Rose Thielen in which the two reminisce over a relationship ruined by abuse. 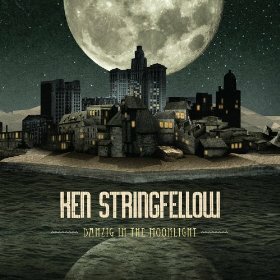 Stringfellow is a music fan’s musician, with his diversity and clever use of metaphors. With any luck, his next album won’t take so long for him to deliver.